How to Delete Movies from iCloud? iCloud is one of the best innovations of this century because you can simply load up your properties and keep them in the air. You can leave them there and go about your daily activities unconcern about what might happen to them. Of course, they are safe up there. But, there will come a time you need to throw away those baggage. That is when you begin to think about how to delete movies from iCloud. 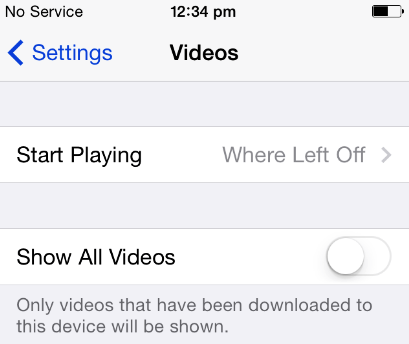 Part 2: How to Delete Videos from iCloud Using Setting Option? Part 3: How to Delete Movies from iCloud Using Third Party? Part 4: How to Hide Videos from iCloud? 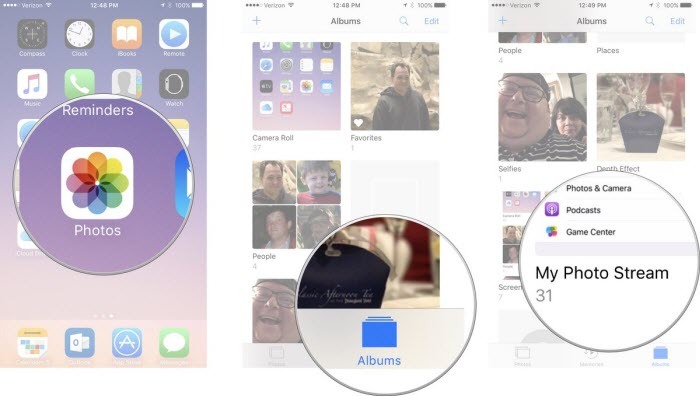 Step 1: Open the Photos app on your device. Step 2: Locate the Albums tab and click. Step 3: Click on My Photo Stream. Step 4: Next, click Select. Step 5: Now, select one or more movies/ photos. There will be a checkmark on the photos/movies that you selected. Step 6: Click on the Trash icon and click Delete. The above steps will safely delete your movies from My Photo Stream. And after that, more space can be created for other movies you might like to watch on your device. Step 1: Find the "setting" icon on your iPhone home screen and click. Step 2: Touch the General option and select the Usage icon. Step 3: A list of applications will now appear including the Videos app. Click. Step 4: Select the "Videos" icon for a new screen to appear. Step 5: Now, click on the "Edit" icon that is on the upper right side of your screen. Step 6: Select the movie you wish to delete by clicking on it. Step 7: Click Delete to delete selected movies. Have you ever tried to delete movies from iCloud to get more free space? If you so, you could try other good way to free up space from iPhone. iMyFone Umate Pro or iMyFone Umate Pro for Mac is that app you need to make this a reality. 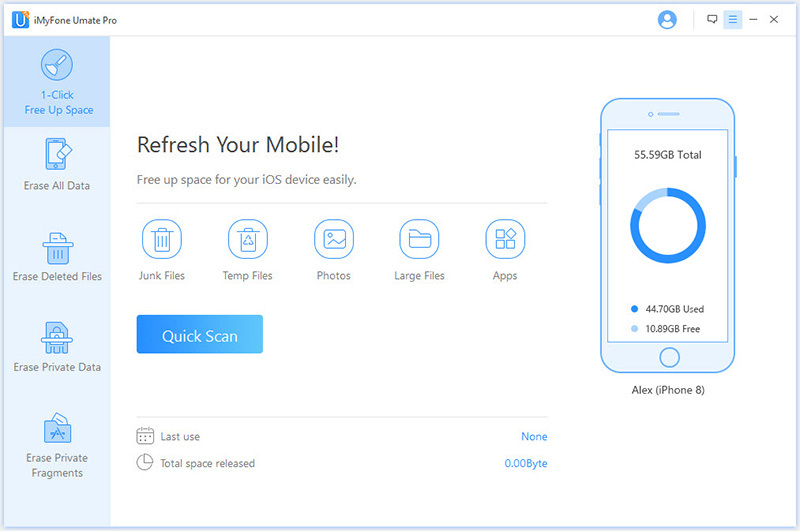 It is a powerful tool that you can use on many mobile devices to delete movies. Permanently erase private movies from iPhone. Perpetual erase deleted movies from iPhone. All original settings are retained after deleting moves. Securing deletion for iPhone movies. Export movies to PC in case for future need. Step 1: First download and install iMyFone to your computer system. Step 2: Use a cable to connect your device to the computer. Step 3: Select "1-Click Free Up Sapce" mode you want and "Quick Scan". Step 4: Once the scan analysis appears on the screen, click on "Large Files" to be cleaned. Step 5: Choose the movie that you want to delete and Click "Backup & Delete". Step 1: From your device, find the "setting" icon on your home Screen and click to open it. Step 2: Once opened, select and click on the App Store icon. Step 3: Now, a new screen will appear with a list of your movies and videos. Step 4: Proceed to click and select the "Video" option. Step 5: When a sliding bar appears, slide it towards the OFF option. Step 6: Your movies are successfully hidden.